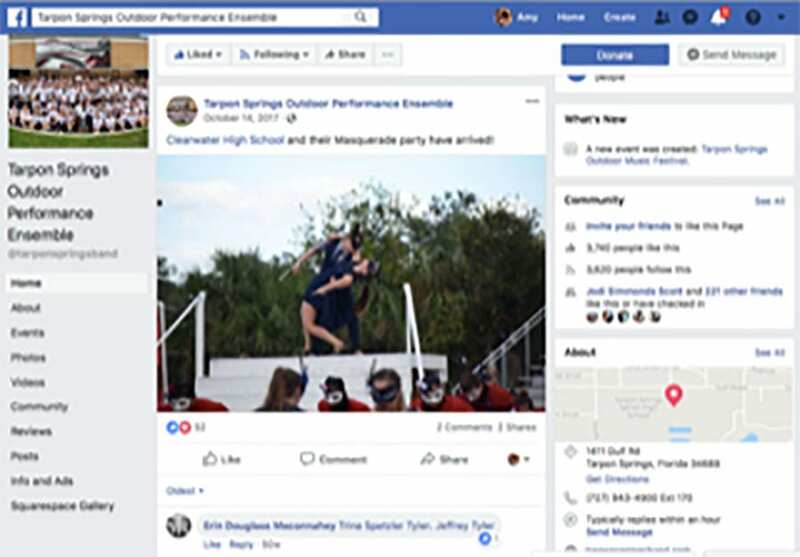 Tarpon Springs High School is in the School District of Pinellas County, Florida. Enrollment is approximately 1,414 students while approximately 15% of the student base comprises Leadership Conservatory for the Arts performers. Due to the small population of the school and the influx of high schools located within close proximity to Tarpon Springs High School, marketing and promotion of our magnet is the lifeblood that introduces, reinforces and sustains the efforts of the Leadership Conservatory throughout the Tampa Bay region. Our program is fortunate to have boosters specifically dedicated to the crucial facet of marketing and promotion. Media and press releases are prepared and disseminated to local marketing and news outlets (print, broadcast, digital); flyers, posters and banners are designed and displayed in area businesses and circulated throughout the school district via an internal communication platform, PeachJar; promotional videos are produced and posted to our band website and social media outlets where they are “liked” and shared among our followers and supporters. 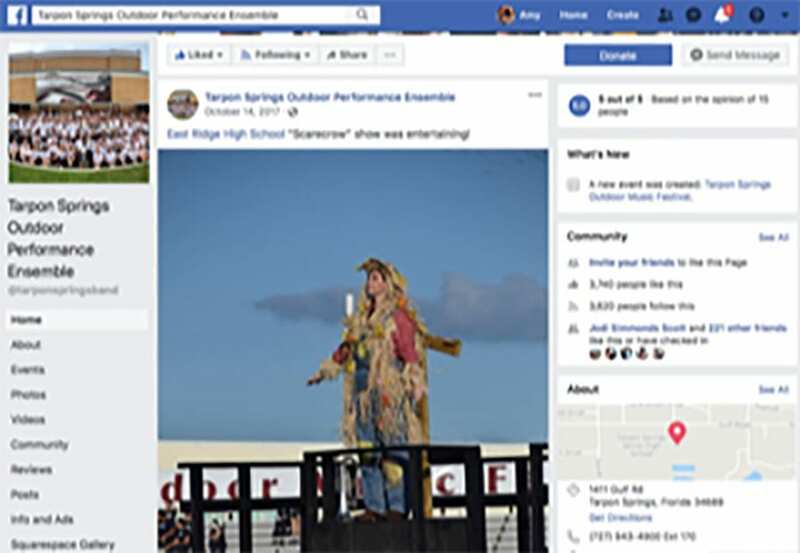 We have developed strategies that allow us to accurately reach current and potential audiences with whom our performances, events, fundraisers and student accomplishments will help increase and heighten awareness, resonate and inspire. Promotional media, whether through traditional (analog) or digital resources, helps keep the program in the forefront of the community mindset. Attached you will find two examples of press releases prepared by our booster publicity chair to promote the Outdoor Music Festival and to congratulate the students on their impressive success at the 2017 Atlanta Regional Competition. 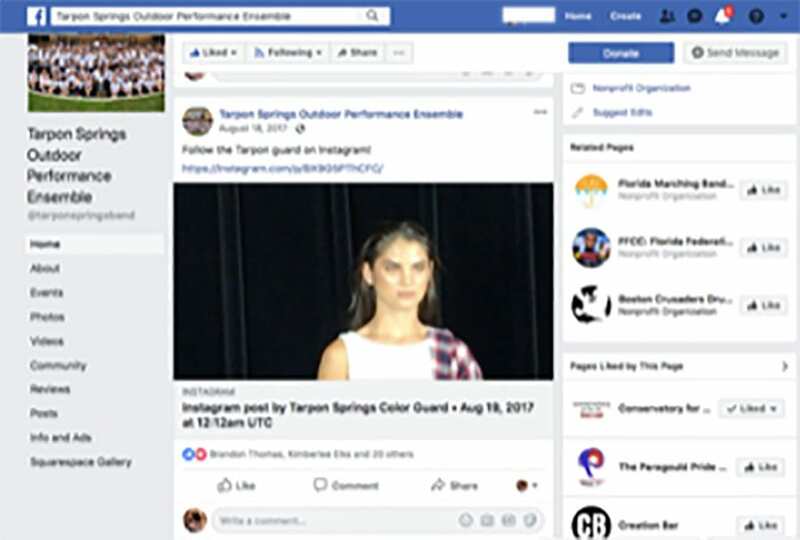 Also included is our 2017-2018 Winter Guard promotional video used to increase interest of new student performers. One objective is to promote awareness of the program in manner that will instill pride in the students both individually and for their participation in the program. By using marketing and promotion strategies through newsprint and increasing our presence on multiple social media platforms, we are able to reach across generation gaps to ensure older and younger generations alike are reached, as the world continues to transition into the use of more and more technology. 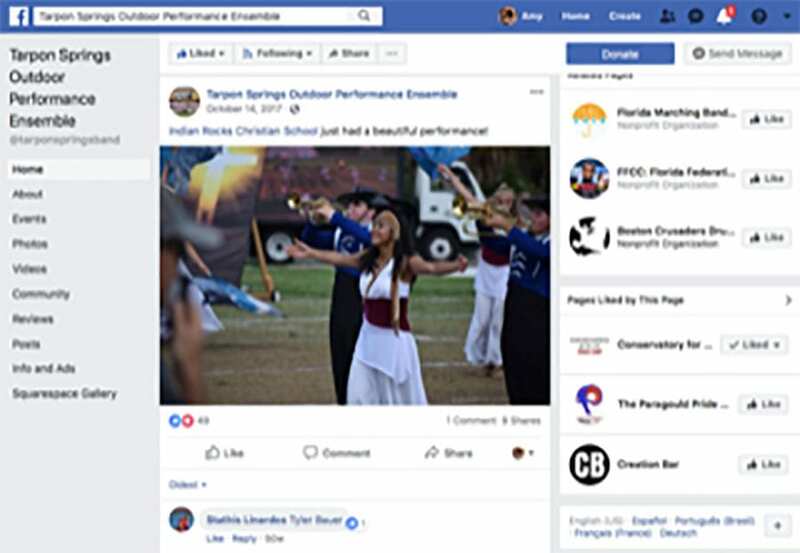 Additionally, our strong social media presence offers a way for those who are not able to travel with the band, to stay in tune with and support the band’s progress when traveling and during competitions. Finally, a main tenet of the Tarpon philosophy is to always leave something better than you found it. The hope is that through diligent and continued presence in newsprint and social media, we will continue increasing the awareness for the program in the community and for upcoming students. Widespread awareness of the program and its accomplishments will help make financial support more accessible in years to come which translates into more opportunities for every student. Continued and increased newsprint and social media presence will also assist in harnessing excitement and anticipation in the younger students to aspire to one day be a part of something so special. Should our marketing and promotion efforts continue to be so successful in increasing awareness, rallying excitement, and building and strengthening community relationships, we will have left the program better than we found it.